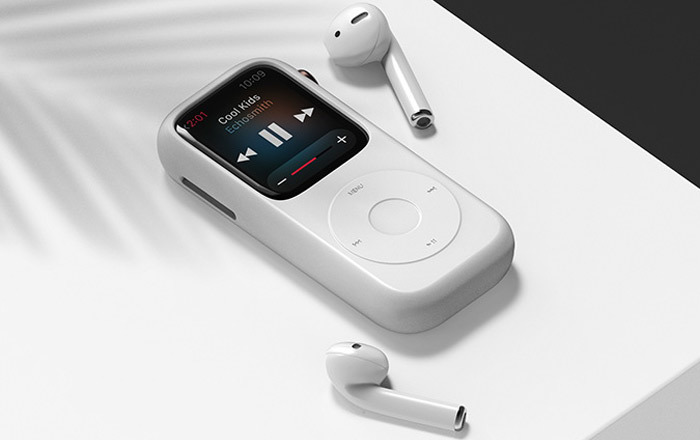 Before the iPhone, Apple’s coolest product was the iPod. The music player was everywhere, but it eventually faded away after the company just stopped making them. Ahead of its death, many used the tiny sixth-gen iPod Nano as a makeshift Apple Watch by attaching a strap to it and slapping it on their wrist. The case itself is non-functional, meaning all the buttons and the click wheel you see are completely useless. You can still interact with your Apple Watch Series 4 via its touchscreen or wirelessly through your AirPods. There’s a small cutout on the side for you to turn the wearable’s Digital Crown, as well as a hole at the back to wirelessly charge the device. It’s important to remember that the Apple Watch doesn’t come with a 3.5mm headphone jack like the classic iPod, so you can’t plug in your old headphones like you used to. At the end of the day, this case mostly has nostalgia going for it and not much else. It’s not very practical at all, unless you hate wearing watches on your wrist and were looking for an alternative. 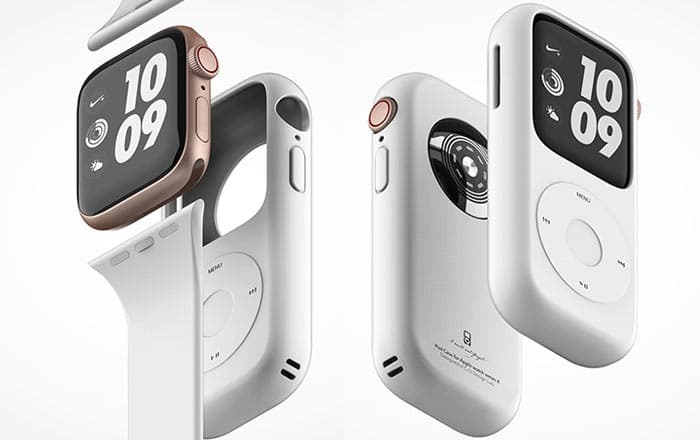 We’re not sure when Caseology will release this iPod Apple Watch case to the public or how much it’ll charge for the cover. In the meantime, you can buy yourself these vintage Mac-inspired stands to turn your iPhone/Apple Watch into a Mac.